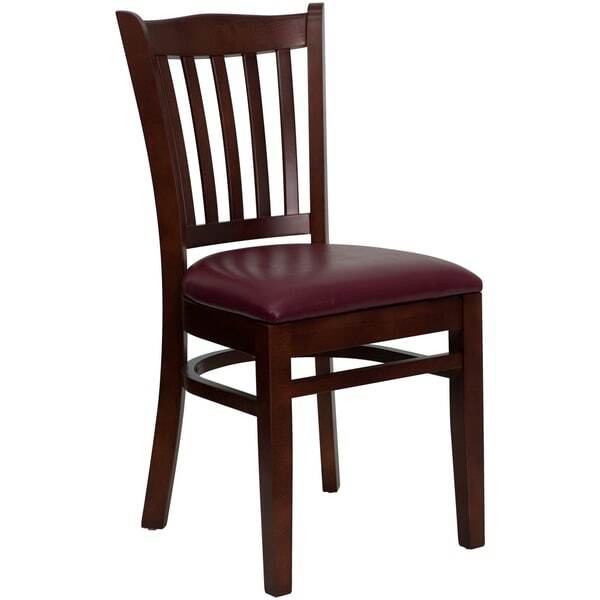 Riverdale Mahogany Wood Burgundy Upholstered Classic Dining Chairs features a solid european beech hardwood durable construction in a mahogany wood finish, the slat back adds a classic and traditional touch to the design, and a soft cushioned seat upholstered with burgundy leather for extra comfort. Whether you're hosting a holiday party or a simple gathering of friends, these casual yet sophisticated dining chairs are perfect for all occasions in any type of room. The floor glides help protect your floors and ensure smooth gliding. Having this chair will give you much use while adding a modern touch in any part of your home, business and beyond.